1. Aastha Sindhwani, Subhash B. Arya, Harmeet Kaur, Divya Jagga, Amit Tuli, and Mahak Sharma*. Salmonella exploits the host endolysosomal tethering factor HOPS complex to promote its intravacuolar replication. *Corresponding author. PLOS Pathogens, 13(10):e1006700 (2017). 2. Rituraj Marwaha, Subhash B. Arya, Divya Jagga, Harmeet Kaur, Amit Tuli*, and Mahak Sharma*. The Rab7 effector PLEKHM1 binds Arl8b to promote cargo traffic to lysosomes. *Corresponding author. Journal of Cell Biology, 216(4):1051-1070 (2017). This research article was selected for the one of the “top 10 articles published in JCB in 2017” and was featured in the list of “top most read” article by JCB. The findings of this research were highlighted by the Wellcome Trust/DBT India Alliance. 3. Divya Khatter, Vivek B. Raina, Devashish Dwivedi, Aastha Sindhwani, Surbhi Bahl, and Mahak Sharma*. The small GTPase Arl8b regulates assembly of the mammalian HOPS complex to lysosomes. *Corresponding author. Journal of Cell Science, 128(9):1746-1761 (2015). This research article was selected as the “top most read” article for the month of May 2015 by the Journal of Cell Science. 4. Amit Tuli, Jerome Thiery, Ashley M. James, Xavier Michelet, Mahak Sharma, Salil Garg, Keri B. Sanborn, Jordan S. Orange, Judy Lieberman, and Michael B. Brenner. Arf-like GTPase Arl8b regulates lytic granule polarization and natural killer cell–mediated cytotoxicity. Molecular Biology of the Cell, 24(23):3721-3735 (2013). 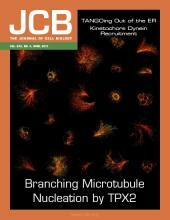 This research article was featured on the cover of the Molecular Biology of the Cell journal December issue. 5. Salil Garg*, Mahak Sharma*, Cindy Ung, Amit Tuli, Duarte C. Barral, David L. Hava, Natacha Veerapen, Gurdyal S. Besra, Nir Hacohen, and Michael B. Brenner. Lysosomal trafficking, antigen presentation, and microbial killing are controlled by the Arf-like GTPase Arl8b. *Equal contribution. Immunity, 35(2):182-193 (2011). This research article was highlighted in the Cell Press published monthly podcasts (September 1, 2011) and was chosen by the Faculty of 1000 Biology, an expert guide to the most important advances in biology, and was evaluated as "recommended" with a 7.0 rating. 6. Haley L. Peters, Amit Tuli, Mahak Sharma, Naava Naslavsky, Steve Caplan, Richard G. MacDonald, and Joyce C. Solheim. Regulation of major histocompatibilty complex class I molecule expression on cancer cells by amyloid precursor-like protein 2. Immunology Research, 51(1):39-44 (2011). 7. Fabien Kieken*, Mahak Sharma*, Marko Jovic*, Sai Srinivas Panapakkam Giridharan, Naava Naslavsky, Steve Caplan and Paul Sorgen. Mechanism for the selective interaction of C-terminal EH-domain proteins with specific NPF-containing partners. *Equal contribution. Journal of Biological Chemistry, 285(12):8687-8694 (2010). 8. Saumya Pant, Mahak Sharma, Kruti Patel, Steve Caplan, Chavela Carr and Barth Grant. AMPH-1/Amyphysin/Bin1 functions with RME-1/Ehd1 in endocytic recycling. Nature Cell Biology, 11(12):1399-1410 (2009). 9. Mahak Sharma, Sai Srinivas Panapakkam Giridharan, Juliati Rahajeng, Naava Naslavsky and Steve Caplan. MICAL-L1 links EHD1 to tubular recycling endosomes and regulates receptor recycling. Molecular Biology of the Cell, 20(24):5181-5194 (2009). 10. Amit Tuli, Mahak Sharma, Haley Capek, Naava Naslavsky, Steve Caplan and Joyce C. Solheim. Mechanism for amyloid precursor-like protein 2 enhancement of major histocompatibility complex class I molecule degradation. Journal of Biological Chemistry, 284(49):34296-34307 (2009). This research article was chosen by the Faculty of 1000 Biology and was evaluated as "recommended" with a 6.0 rating. 11. Amit Tuli, Mahak Sharma, Xiaojian Wang, Steven Cate, William H. Hildebrand, Naava Naslavsky, Steve Caplan and Joyce C. Solheim. Amyloid precursor-like protein 2 association with HLA class I molecules. Cancer Immunology and Immunotherapy, 58(9):1419-1431 (2009). 12. Amit Tuli, Mahak Sharma, Mary M. McIlhaney, James E. Talmadge, Naava Naslavsky, Steve Caplan and Joyce C. Solheim. Amyloid precursor-like protein 2 increases the endocytosis, instability and turnover of the H2-Kd MHC class I molecule. Journal of Immunology, 181(3):1978-1987 (2008). 13. Amit Tuli, Mahak Sharma, Naava Naslavsky, Steve Caplan and Joyce C. Solheim. Specificity of amyloid precursor-like protein 2 interactions with MHC class I molecules. Immunogenetics, 60(6):303-313 (2008). 14. Mahak Sharma, Naava Naslavsky and Steve Caplan. A role for EHD4 in the regulation of early endosomal transport. Traffic, 9(6):995-1018 (2008). 15. Naava Naslavsky, Juliati Rahajeng, Mahak Sharma, Marko Jovic, and Steve Caplan. Interactions between EHD proteins and Rab11-FIP2: A role for EHD3 in early endosomal transport. Molecular Biology of the Cell, 17(1):163-177 (2006). 1. Divya Khatter, Aastha Sindhwani, and Mahak Sharma*. Arf-like GTPase Arl8: Moving from the periphery to the center of lysosomal biology [review article]. *Corresponding author. Cellular Logistics, 5(3):e1086501 (2015). 2. Mahak Sharma, Sai Srinivas Panapakkam Giridharan, Juliati Rahajeng, Naava Naslavsky, and Steve Caplan. MICAL-L1: an unusual Rab effector that links EHD1 to tubular recycling endosomes. Article Addendum. Communicative and Integrative Biology, 3(2):1-3 (2010). This article was highlighted as one of the “most popular” downloaded paper by the Communicative and Integrative Biology journal website (April, 2010). 3. Marko Jovic*, Mahak Sharma*, Juliati Rahajeng, and Steve Caplan. The early endosome: a busy sorting station for proteins at the crossroads [review]. *Equal contribution. Histology and Histopathology, 25(1):99-112 (2010). 4. Mahak Sharma, Marko Jovic, Fabien Kieken, Naava Naslavsky, Steve Caplan, and Paul Sorgen. A model for the role of EHD1-containing membrane tubules in endocytic recycling. Article Addendum. Communicative and Integrative Biology, 2(5):431-433 (2009). 5. Mahak Sharma*, Marko Jovic*, and Steve Caplan. Epidermal growth factor receptor protein tyrosine kinase substrate (Eps15). *Equal contribution. Targeted Proteins Database (TPdb) (2007). 1. Rituraj Marwaha and Mahak Sharma*. DQ-Red BSA trafficking assay in cultured cells to assess cargo delivery to lysosomes. *Corresponding author. Bio-protocols, 7(19) (2017). 2. Mahak Sharma* and Steve Caplan*. BAR domains and BAR domain superfamily proteins. *Co-corresponding author. Book chapter in “Encyclopedia of cell biology” edited by Ralph A. Bradshaw and Phillip D. Stahl and published by Elsevier, 2:491-502 (2016).